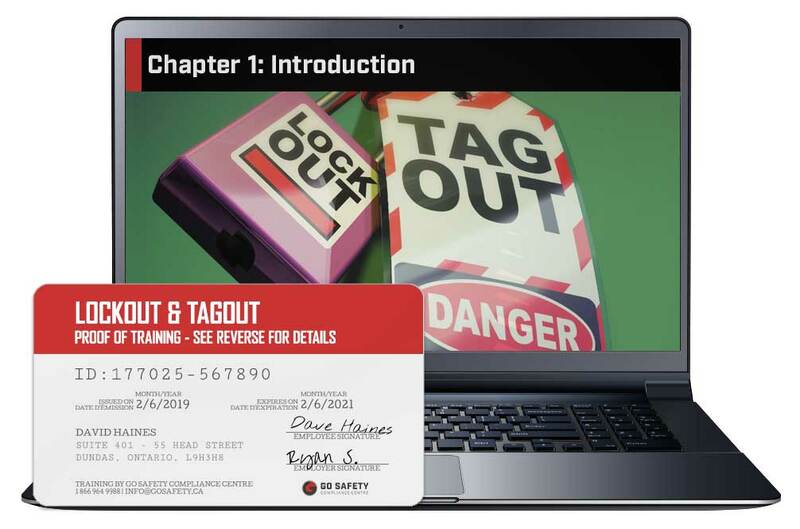 Go Safety’s online Lockout & Tagout (LOTO) Course will guide you through all aspects of locking and tagging out machinery. The training includes understanding LOTO requirements, basic procedures, employer and worker responsibilities, and more. This course is required by many industries and you should check with your employer to see whether or not you need LOTO Training. Slobodan A. Verified Buyer You make our life easier. Very satisfied. Bastian K. Verified Buyer Works great for my departments needs. Easy setup and user friendly. Darren J. Verified Buyer Easy access, great tutorial and very informative. Good program. Anto P. Verified Buyer The training was very helpful and interesting and I liked it a lot. Wayne D. Verified Buyer Very Informative & readily available - everything you need to know at a great price. Training can be completed an hour to an hour and a half. Work at your own pace with no time limit. 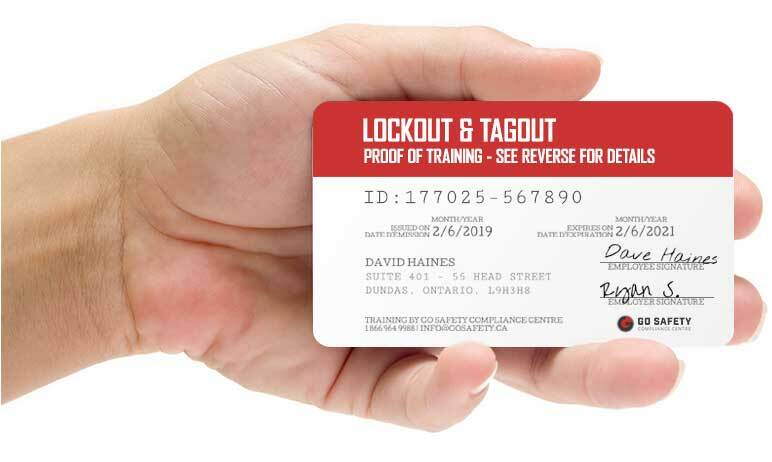 A sturdy plastic Lockout & Tagout wallet card may also be ordered directly from your Go Safety account for an additional fee. These hard-copy certificates are printed on durable 0.30mm polycarbonate plastic. WHO SHOULD TAKE LOCKOUT & TAGOUT TRAINING? Lockout & Tagout is used across industries as a means of keeping workers safe from unintentional activation of machinery and power sources. Your employer is responsible to make sure you are fully trained in all the safety procedures required for your job. Be sure to check with them to ensure that you are fully trained and ready to begin work. WHAT TOPICS ARE COVERED IN LOCKOUT / TAGOUT TRAINING? The importance of locking out machinery and equipment. The dangers of hazardous energy. Basic and group lockout procedures. Employer and worker responsibilities for safe lockout. HOW LONG WILL IT TAKE FOR ME TO COMPLETE LOCKOUT & TAGOUT TRAINING? Most students complete the course in a little over an hour, but there is no time limit. You can pause the program and pick up where you left off later. Once completed, the training material will continue to be accessible to you for review purposes. You can write the exam multiple times until you achieve the passing grade of 80%. WILL THE ONLINE LOCKOUT & TAGOUT TRAINING COURSE WORK ON MY TABLET OR SMARTPHONE? HOW CAN I ACCESS MY LOCKOUT/TAGOUT RECORD OF TRAINING? WHAT HAPPENS IF I LOSE MY LOCKOUT & TAGOUT TRAINING CERTIFICATE? CAN I PURCHASE THE LOCKOUT & TAGOUT TRAINING FOR SOMEONE ELSE?